Have you ever noticed that, in romantic comedies, the end is very often a wedding? What’s up with that? Love stories don’t end at a wedding. That’s when real life begins, the business of figuring out who does the laundry, where you’re going to live, and how in the world you figure out where you spend Thanksgiving and Christmas. It’s the same thing with publishing. The day you ink the book deal may be the happy ending in the movie version, but in real life it’s just the start of the story. After many years of dreaming of being a writer, I got my movie-worthy happy ending. 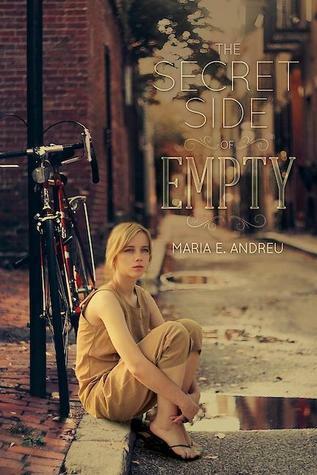 I got the first agent I pitched for The Secret Side of Empty, from a house so prestigious just reading their client list gives me goose bumps. We sold the book in the first round of submissions to a publisher who has done amazing things for the book, truly an ideal publisher for my first time at the rodeo. (And there was more than one offer to weigh). Anyone who hears my publishing story wants to stop me there and sort of bask in the moment, happy in the knowledge that it does happen that way sometimes. And it does. But then you wake up the next day. Just like no one tells you what to do once you get back from the honeymoon, here are 7 things no one will tell you about what it’s like AFTER the book deal. Editing is terrifying. Sure, you’ve edited before. You’ve joined critique groups. Maybe you’ve been brave and gone to pitch slams and other places where your words have been torn apart and criticized. Great. Now you’ll have a team of bona-fide professionals poring over your every word. I got an editorial letter so detailed that I shut the document immediately after seeing its page count (let’s just say this: it was in the double digits) and couldn’t make myself open it for 2 weeks. Be prepared. It’s not about you. It’s about making the work the best it can be. Book promotion is exhausting. Yes, you’ve waited your whole life for it. Yes, you’re going to love most of it. And you’re going to be exhausted anyway. You’ll be thrilled to learn that your publisher will schedule a blog tour for you (maybe, if you’re lucky). You’ll forget that it means you’ll have to actually write all those posts, answer all those interview questions, send head shots, book covers and photos of your frizzy hair in the 8th grade or the bicycle you learned to ride on. Then you’ll go to schools, libraries, festivals, and grocery stores and auto body shops too, if they’ll take you. Fun, yes. Mostly. Take naps now. Your launch date is not real. Just like a lot of brides stress the wedding and forget it’s actually a marriage they should be planning, so too a lot of authors obsessively plan the Twitter party and Tumblr extravaganza that will be their Launch Day, forgetting that it isn’t really even a Real Thing. My books shipped almost 3 weeks early. When I asked, a helpful professional told me, “Unless your name is J.K. Rowling, no one’s taking up warehouse space to perfectly orchestrate your big reveal.” It will help you to remember that book promotion, like a marriage, is something that you’re in for the long haul. So don’t stress the day so much and come up with a long-term strategy. It’s a crowded marketplace. You thought it was hard to get attention when you were in the throng of hopefuls? Wait until you see your book on a shelf full of all the others who broke out of the pack. You’ve got a couple of seconds to catch a potential reader’s attention, online and off. If the competition of trying to get published bothers you, you should know it doesn’t stop after your book is out in the world. Reviews hurt. Bad reviews can cut you to the quick. Even good ones can sometimes leave you scratching your head. Much ink has been spilled advising writers not to let critics get to them. That’s great advice. Also pretty hard to follow, particularly at first when you’re hungry for any sign of how your book is doing and what people think. My advice is to ignore reviews completely – good and bad. It is advice you will not follow. Hold on, I’ve got to go check my Goodreads page real quick. People will find things in your book you didn’t realize were there. I’ve had readers ask me about love triangles I didn’t intend to include and legislation I didn’t mean to reference. I’ve had readers write to tell me they love a character and a whole bunch of others reach out to tell me how much they loathe that very same character. All with supporting evidence. When you release your book out into the world, it is no longer yours alone. It will be hard to find time to write. Do you struggle with finding time now? Imagine having all the responsibilities you have now, except take away a lot of your free time on weekends and evenings (because you’re at book festivals and you’re writing blog posts). Now write. That’s what it’s like to try to write books # 2, 3 and beyond. Lest I seem like too much of a downer, let me say that publishing my debut novel has been magical, the culmination of a lifelong dream. I’ve been honored to speak at schools and libraries and events all over the country and have received wonderful attention from the trade reviewers. I’ve gotten the tingles when I discovered that my book is in libraries as far away as Singapore, Australia, and Egypt, as well as across the United States. Just imagine… my words being read by someone right now somewhere halfway around the globe. Amazing! I share my “things no one will tell you” not to discourage you, but to invite you to look at the whole picture. Like anything worth striving for – a marriage, parenthood, career – publishing a book is a massive undertaking with highs and lows. Once you reach the peak of Published Author, there is another one, just as big, right in front of you. Then another, and another, all the way to the horizon. And that’s what makes it beautiful. I have a colleague who is in the throes of writing a book. I’ll share with her, Maria, but congratulations on your first book. It sounds like something many “should” read, but even as a reader and blog reviewer, I do ‘get’ that there are so many books out there to read! Best wishes to you! Thanks for the post!! Great information here!! Yes yes yes to all of these! My book’s birthdate is the end of this year. Thanks for the cautionary and comforting words!